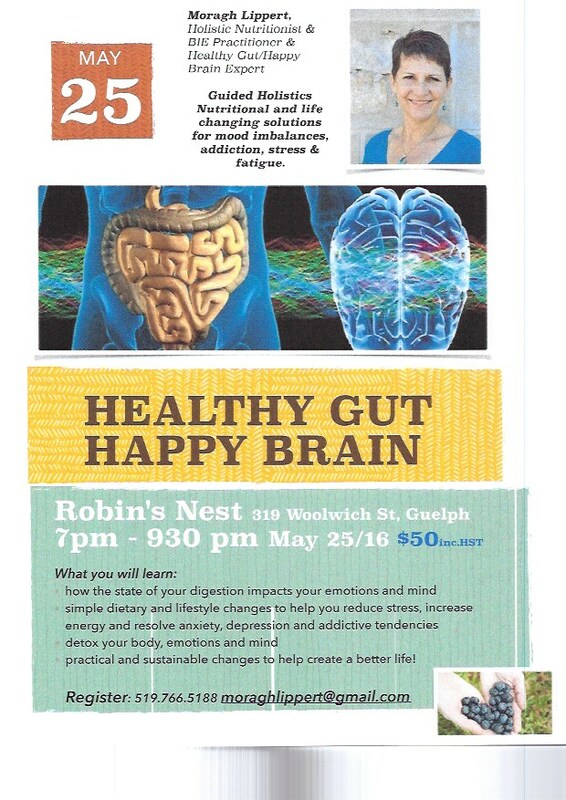 I’m happy to be presenting my Happy Gut Health Brain seminar again. One of the areas we discuss is addictive/compulsive behaviour and how to heal from them for good. Why do we become addicted or exhibit negative or compulsive behaviour? Addiction and compulsive behaviours have many causes and contributing factors. It is also important to know that they can develop out of physical conditions such as leaky gut, imbalance of the digestive microbiome, chemical imbalances, allergies and nutrient deficiencies. When we address the physical causes, we end cravings, compulsion, depression and other mood imbalances and restore optimum health of body, mind and spirit; often without the need for prescription drugs. If the physical causes are not treated, when the addictive behaviour is stopped, we can still experience cravings, mood swings, depression, anxiety, and other symptoms that make living a sober life very challenging. Treating the physical imbalances is what I do in my practice, Guided Holistics. As a Holistic Nutritionist, I also work with clients so they can nurture in an integrated way, dis-harmony in body, mind and spirit. Set the intention and commit to helping yourself to reconnect with your Authentic Self! Please visit Resources on this website for additional support.